Hello I’m Kerolos Sam, all my life I've been intrigued with studying medicine and someday fulfilling my dream of becoming a Doctor. 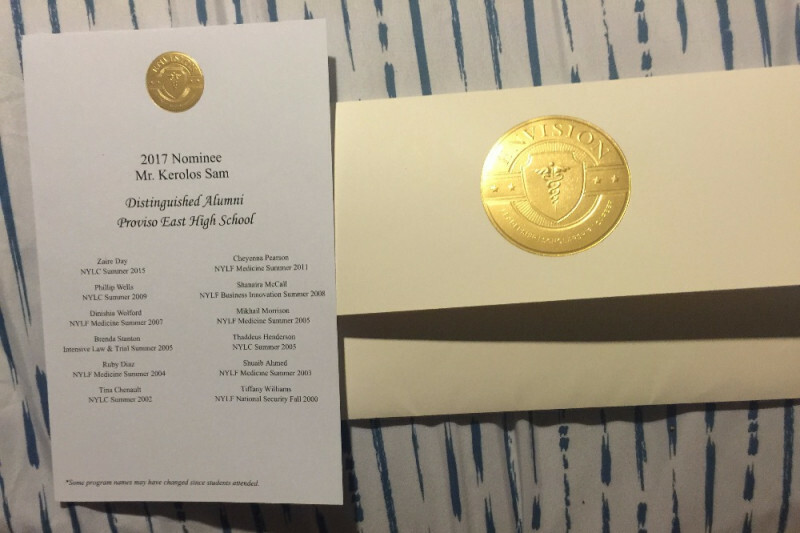 I’m one of the top students in my school, and currently is a straight A student with a 4.33 GPA. I’m the president of my Student Class Council and also a three sport student athlete. I was named to the National Honors Society. My mom passed away when I was 13 years old which eventually led to me being placed into the foster care system for children. Despite these circumstances I always decided to pursue all of my goals with fierce determination. I always promised my mom that I would do great things so I look at this blessing as an opportunity to keep my word to her. I applied to quite a few schools and was accepted by many including UIC and Harvard. I’ve been accepted to perform a medical internship in Los Angeles, California from June 28 through July 6 which is my purpose for raising funds here. I’ve also been accepted into the 6 year pre med program at The University of Illinois at Chicago where I will be attending in the fall. My ultimate dream is to become a Cardiologist and continue to help people who need it just like me. As I’ve been helped by others I desire to help others who are in need. In the future part of my ambition is to collect toys to be donated to children who are enduring cancer. It would be amazing to receive everyone's support to help fulfill my plans and dream. I humbly ask that you please consider donating to help fund my medical internship opportunity. Thank you all for positive messages which inspire me to continue and preserve! Please help spread the word! Nice success story. Happy to help! I am very proud of you Kerolos and remember you as a very wonderful student who loved coming into the library where I was librarian at your junior high. Congratulations on your continued success, deep faith and forgiveness and love for humanity. So proud of you Kerolos.